**All videos are done by Dr. Michael Greger M.D. to learn more about Dr. Greger please visit his website or his YouTube channel by click here. Diabetes mellitus is an affliction which affects people with particularly high blood sugar. This metabolic disease is generally caused by the pancreatic troubles, though there can be other causes as well. This does not technically affect the blood sugar itself, but rather the insulin, a bodily chemical which helps to control the body’s metabolism. 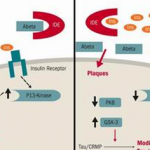 While type 1 diabetes is an affliction in which the body does not create enough insulin to manage metabolic needs, type 2 is a disease in which the body actively fights the insulin that is created. The causes, however, are not mutually exclusive; it is possible for the body to fight insulin while also not creating as much as is needed in the first place. Commonly known as adult-onset diabetes due to the tendency of older generations to experience it, type 2 diabetes is often associated with a poor diet and a lack of proper physical health. There are a number of treatment medications associated with the disease, though the best way to fight it (or even keep it from occurring in general) is to maintain proper physical health. This means a steady regimen of physical exercise and the maintenance of balanced, nutritious dietary habits so as to keep from becoming overweight. As previously mentioned, a person’s lifestyle choices in terms of diet and exercise can play a big role in the onset of type 2 diabetes. While those who are overweight are more at risk, this is not a requirement. 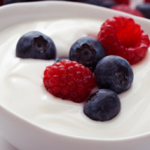 People who appear healthy at first glance may still be at risk if they maintain a high sugar intake, or consume more than the average amount of saturated fats. Poor exercise regimen is rarely a cause in and of itself (resulting in less than ten percent of cases), though is often a factor. There are also genetic factors at play. So far, between thirty and forty genes have been located that can play a part in the onset of diabetes. They specifically affect beta cells, which are responsible for secretions of insulin in the body. Every once in a while, however, the disease will be caused by only one gene. 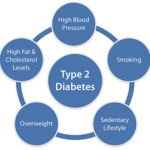 The final leading cause of type 2 diabetes is the use of certain medications. This includes some antipsychotics as well as beta blockers. Type 2 diabetes can also arise from other forms of diabetes in general, or from cancers that affect the alpha cells of the pancreas. Finally, a lack of testosterone may be a factor in the onset of the disease. While the maintenance of nutritional factors and other physical concerns helps greatly in risk reduction pertaining to type 2 diabetes, there are more traditional medical approaches to the issue as well. For instance, some are afflicted due to their inability to tolerate high levels of glucose. 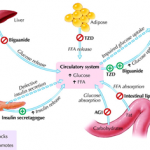 Medications involving acarbose and metformin can help in such cases. Since glucose is such an issue, it comes as no surprise that maintenance of blood sugar levels is a primary method of treating and managing the disease. Many who suffer from diabetes are provided with portable monitors that they can wear on their persons at all times to keep track of their blood sugar. 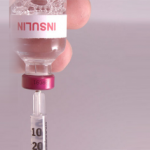 If there is a spike in blood sugar or a drop in insulin levels, they are able to take shots of insulin to help manage the disease. Certain medications aside from metformin can help as well. There are medications which are useful, especially if a patient cannot take metformin due to preexisting health issues involving the kidney or the liver. 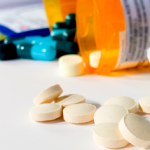 A patient’s physician will generally have an in-depth knowledge of such medications. 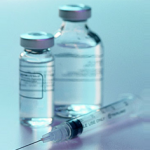 In the event that simple medication is not enough to treat the disease, surgical treatment is also an option. Since type 2 diabetes mostly affects those who are overweight, surgeries such as stomach staples and liposuction are particularly effective. In short, diabetes is a major affliction which affects those suffering from high blood sugar and/or low insulin levels. Type 2 diabetes is a specific type of the disease most commonly seen in adults, in which the body resists insulin functions. Those who suffer from adult-onset diabetes are encouraged to maintain healthy and active lifestyles while seeking out whatever medical treatments may be able to help them overcome their afflictions.